Here in this we have managed to share direct link to downloaad DFU Flash Tool setup for windows. We have posted download link for latest version of DFU Flash Tool setup. 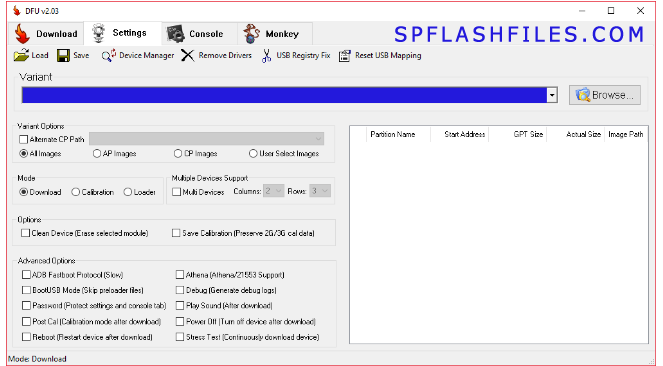 DFU Flash Tool allows you to flash firmware (flash files) on any Breadcom smartphone and tablets. Proceed and download it using link provided at the bottom of this post. DFU Flash Tool is an advance flash tool for Breadcomm chipset based smartphones and tablets. You can download it perform various tasks on Smartphone and Tablet. It is an portable application, you can move it any where with installing it on your computer/desktop. DFU Flash Tool has advance features including ADB fastboot Protocol, BootUSB Mode, Password Protection to protect settings and console tab, Calibration Mode after download , Restarting device after flashing, Athena/21553 support, Generate Debug logs, Play sound after flashing, Turn off the device and stress test. DFU Flash Tool support multiple devices, it means you can flash multiple devices at same time. So, friends if you need this tool to flash you Breadcom device then download it using link shared below. The latest version of DFU Flash Tool is v2.03 and download size is 123kb. 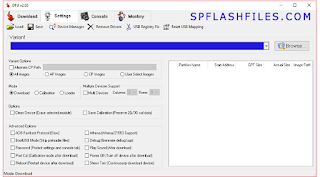 1 Response to "DFU Flash Tool v2.03 Setup Latest Version Download"